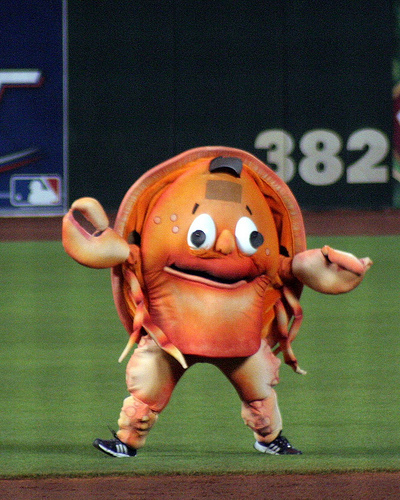 Until I lived in Virginia, I was really not aware of what can only be called The Chesapeake Bay Crab Cake Phenomenon. It's impossible to ignore all the crab themed items littering every store along this coastline. 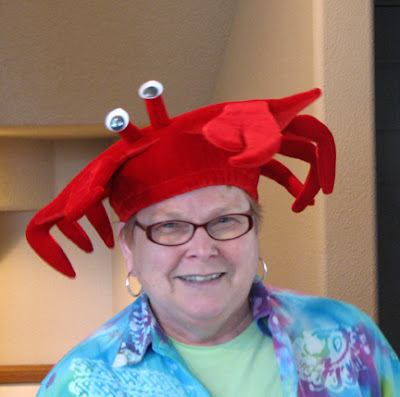 Aprons, cereal bowls, utensils of any kind, beanie babies, lollipops, mechanical claws for picking up things less than 2 feet away - whatever the kitschy knick knack - you can find one with a smiling cartoon crab it - eager to be eaten. Disturbing doesn't even begin to describe it. It's like those BBQ places with the happy pig on the sign - In what bizarre mind does that make sense? I think Kermit said it best. I can't really remember ever eating a meaty crab cake before I went vegan but now I feel like I see them on every menu and sandwich board on every corner. People really love their crab cakes around here - poor little sea spiders. 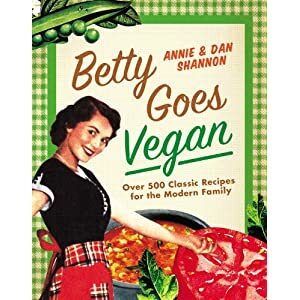 Betty has quite a few seafood recipes in her book. I have to admit I was looking forward to veganizing her crab cakes to see what all the fuss was about. So, we had prepared ourselves for experimenting with the wide variety of faux seafood out there - when the most amazing thing began to happen. We started getting emails from readers telling us to try this new mock meat called MATCH. Hmmmm - Curious. We ordered the faux crab and waited impatiently. All I can say is TOTALLY WORTH THE WAIT! 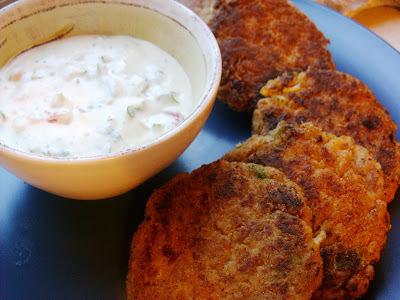 Vegan Crab Cakes are pretty much awesome and expect to see more MATCH Mock Meat . In a bowl, mix Vegannaise and EnerG Egg Replacer with a whisk. Stir in remaining ingredients except Olive Oil and Dry Bread Crumbs. Shape mixture into 6 - 7 patties about the size of your palms. Put your Dry Bread Crumbs into a shallow bowl. Coat each patty with Dry Bread Crumbs. In your beloved little cast iron skillet, heat the Olive Oil over a medium heat. Place patties in the Oil once hot. This is an important tip - don't crowd the patties. They will stick together or break apart when you bump them when you flip other patties. Give them room. Cook patties till they are golden brown on each side. Mix all the ingredients and eat up! i want to eat these SO BAD!!! they look amazing! You can also make mock crab cakes by substituting zucchini for crab meat. Recipes abound. Enjoy. I used to absolutely love crab cakes when I still ate seafood. I haven't tried any of the Match products yet, but these sound so awesome. I'm going to have to order some Match crab! RIGHT NOW! @patti, don't even front like zucchini is a proper meat substitute. or is it?!?! I recently bought imitation crab meat not realizing that it had Pollock in it -ack-had bought I think, 6 pckges-cheap at 1 dollar each, (think it was a d/c product)wanting to make this recipe.Anyhow, left it in pckges and now has and( will become more) cat food for the cats at the cat colony instead ,so not a total waste,I buy them stuff anyway-but cant seem to buy vegan crab substitute here in area where I live with my parents,for now.Limited choices moreso than in larger geographical areas for sure but I make do.Will try the zucchini tip in meantime.An aside-1 place that might sell what I need and other stuff I want,in the nearest town-also sells live lobsters apparently,or did before?-any flesh alive or dead,would be bad enough.Would be hypocritical and ironic to purchase from that marketplace,obviously.Ugh.However,the zucchini is worth a try,thank you for the tip Patty and many thanks to the Shannons for your recipes,this site is awesome,smart,interesting !! have been doing some browsing through and will refer back to test however many recipes <3 God Bless !! These are amazingly good! Thanks for the great recipe! !